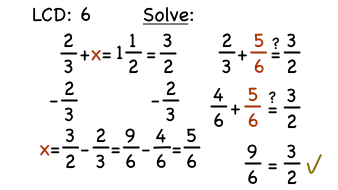 Looking for practice solving equations containing fractions? In this tutorial, see how to add fractions with unlike denominators in order to solve an equation. Then, be sure to check you answers so you KNOW it's correct!